Call of Duty 2 is a classic game that I have loved ever since it was first released as I am a massive fan of shooter based platform games and this is one of the best. The game does not have the best graphics but for its time it is very well made and extremely addictive and will be sure to keep you glued to the screen for hours on end. 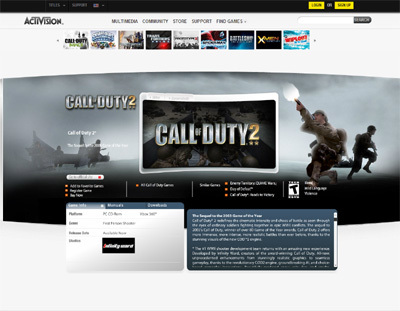 We have also compiled a Review System for this, of which Call of Duty 2 is Rated as Four Stars, the second highest possible score available from the Game Review Team.